Clifford Parker "Cliff" Robertson III (September 9, 1923 – September 10, 2011) was an American actor with a film and television career that spanned half a century. 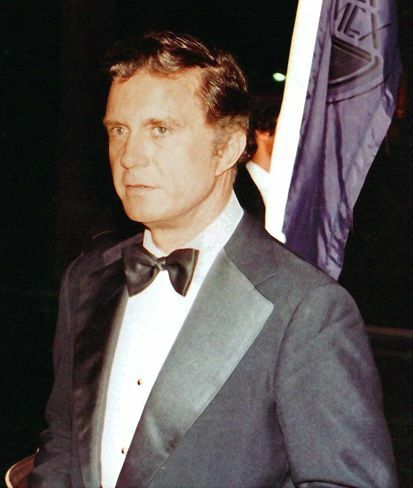 Robertson portrayed a young John F. Kennedy in the 1963 film PT 109, and won the 1968 Academy Award for Best Actor for his role in the movie Charly. On television, he portrayed retired astronaut Buzz Aldrin in the 1976 adaptation of Aldrin's autobiographic Return to Earth, played a fictional character based on Director of Central Intelligence Richard Helms in the 1977 miniseries Washington: Behind Closed Doors, and portrayed Henry Ford in the 1987 Ford: The Man and the Machine. His last well-known film appearances were in 2002 through 2007 as Uncle Ben in the Spider-Man film trilogy. Read more on Wikipedia.